Mountaineering is the sport, hobby or profession of walking, hiking, trekking and climbing up mountains. It is also sometimes known as alpinism, particularly in Europe. It may be said to consist of three aspects: rock-craft, snow-craft and skiing, depending on whether the route chosen is over rock, snow or ice. All require great athletic and technical ability, and experience is also a very important part of the matter. Kerala Adventure is inviting to those who love to take challenges in their lives. 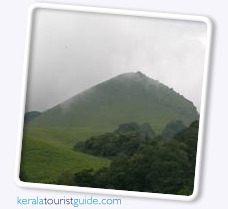 Come and discover the unexplored and not ventured portions of Kerala with the Kerala Adventure. Kerala offers a number of adventure tourist destinations that ranges like mighty mountains, dense forests and rippling rivers. The choice of adventure activities in Kerala is vast and you have the option from camping, canoeing, kayaking, mountaineering, mountain biking, parasailing, rafting, trekking and wildlife safaris. Brahmagiri is a mountain range in the Western Ghats of south India. It is situated on the border between Wayanad District of Kerala state on the south and Kodagu district in Karnataka on the north side. Brahmagiri Hill, at 1608 m height, is a scenic tourist attraction. The top of Brahmagiri Hill (1608 m) is well forested and has a lot of wildlife. Thirunelli Temple, dedicated to Lord Vishnu, lies on the Kerala side of Brahmagiri. This temple is known as Dakshina Kasi or the Kasi of the South. The temple constructed in an ancient style and includes 30 granite pillars. According to legend, the temple was constructed by Lord Brahma himself.